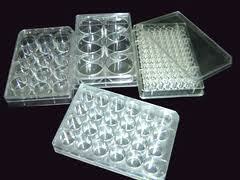 EZ BioResearch provides a wide option of multiwell plates from 6-well to 96-well plates. All of the multiwell plates were tested for cell culture. Optically clear high quality polymers were used during production. Multiwell plates are treated with Gamma irradiation after complete packaging to eliminate any chance for possible exposures to contamination sources.